Good things may come to those who wait. But at Century 21 Barefoot Realty, we say why wait! When it comes to great coastal living, there truly is a place for everything with everything in one place. And that place is North Myrtle Beach. Considered by many to be more upscale and classy than its flashier neighbor to the south, North Myrtle Beach doesn’t play second fiddle to any area when it comes to great family atmosphere, beautiful beaches, and unparalleled shopping, dining, and entertainment - even casino boat gambling. With an array of housing options and a concentration of more great golf courses than anywhere along the Grand Strand, it’s no mystery why more and more people are calling the North Myrtle Beach area "home sweet home". Ocean Drive or "OD Beach" has been a vacation tradition since the 50's, when early rock, blues, soul, and the "shag" dance was born. Dancing in the sand to the sounds of the Drifters, and frolicking "Under the Boardwalk" created a vision of fun and sun that still remains today. 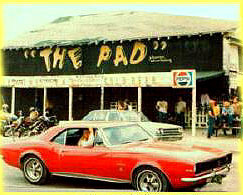 Many of the old landmarks like "The Pad" and the Ocean Drive Hotel are gone, but the traditions of OD are maintained by other old dance places like Fat Harolds and Ducks, and the Shag Dancers of SOS that return every few months to relive the old times. The generations of baby boomers that spent vacations here with their parents are now buying oceanfront vacation condos and homes, looking to own a little part of their happy childhood memories. The years from 2004-2006 saw a huge surge of condo construction all over the US, and the north end of the Grand Strand got a head start due to several prominent developers being located here. In the space of about two years, nearly every single small hotel in North Myrtle beach was converted to a condo-hotel or multi-towered condo resort. It seemed investors couldn't buy them fast enough. Small, old time family beaches like Cherry Grove became more like a mini-Miami overnight. The number of North Myrtle Beach condos for sale is equal to our southern neighbor and we have several of the most impressive resorts on the east coast. Lavish new communities of homes in North Myrtle Beach were also built during the boom years. Our part of the Intracoastal Waterway offers some of the finest luxury waterfront homes anywhere. Many have private docks and boat slips and service retirees that travel north and south on the Waterway year-round. Smaller, but comparable developments have been built on the ocean side, offering reasonable prices and beautifully landscaped yards, community pools, and the feel of living in paradise. All the beautiful new resort communities led to an even bigger industry in vacation rentals. This led to more attractions, better restaurants, and everything multiplied. Today, North Myrtle Beach has just as much to offer in entertainment, golf, and fine dining as any beach north of Miami. 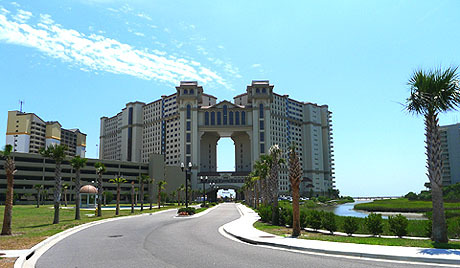 Classy and casual, North Myrtle Beach is a comfortable mix of the best of what’s old and new. From elegant dining and drinks at the country club to shag dancing at a classic beach bar, from driving a golf cart on some of the nation’s top courses to driving it down to the beach, this is a place where anyone’s lifestyle will feel right at home. Ocean Drive, Cherry Grove Beach, Crescent Beach, Windy Hill Beach and neighboring Little River to the north – no one knows more about North Myrtle Beach real estate than the professionals at Century 21 Barefoot Realty. Our agents are the most highly trained and will go the extra mile to sell your home or find your dream home in the Grand Strand area. Give us a call – we’re ready to help you build a great future.